his great X 3 granddaughter Sally Ward. 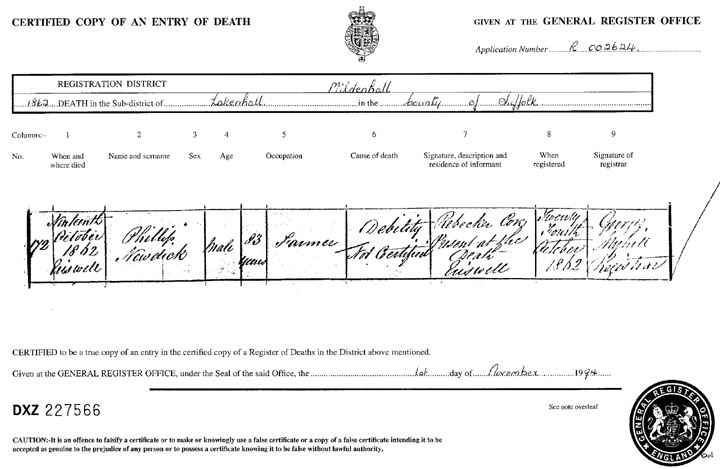 Here is an enlargment of the "important" part of Philip's Death Registration. Click to return to Philip Newdick on the Newdick page.